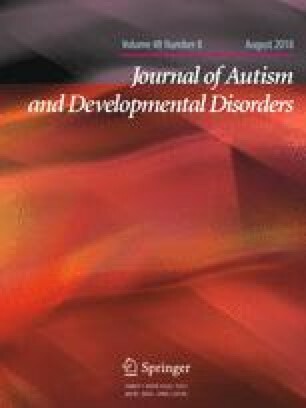 Nicotinic acetylcholine receptors (nAChRs), particularly the α7 nAChR, are implicated in the pathophysiology of both autism spectrum disorder (ASD) and aggressive behavior. We explored the feasibility, tolerability, and preliminary efficacy of targeting nAChRs using transdermal nicotine to reduce aggressive symptoms in adults with ASD. Eight subjects were randomized in a double-blind crossover trial of 7 mg transdermal nicotine or placebo, each for 1 week. All participants tolerated nicotine treatment well. Five subjects contributed data to the primary outcome, Aberrant Behavior Checklist-Irritability (ABC-I) subscale change from baseline, which was improved by nicotine compared to placebo. Sleep ratings were also improved by nicotine and correlated with ABC-I improvement. These findings support further investigation of nAChR agonists for aggression and sleep in ASD. This work was supported by Autism Speaks grant #9699 (ASL), National Institutes of Health grants R01DA14241 and R01MH077681 (MRP), R25MH071584, T32MH019961, and T32MH14276 (ASL), and the Child Study Center Associates and the AACAP Pilot Award for General Psychiatry Residents (GIvS). We thank Lawrence Price, Roger Jou, Michael Bloch, and Philip Smith for constructive feedback on this study and Jeffrey Eilbott for technical assistance. ASL and GIvS conceived of the study, participated in its design, coordination, and data collection, and drafted the manuscript; MOL participated in the coordination of the study and performed data collection; FRV, MRP, and DGS participated in the design of the study and interpretation of the results. All authors read and approved the final manuscript. This work was supported by Autism Speaks grant #9699, National Institutes of Health grants R01DA14241, R01MH077681, R25MH071584, T32MH019961, and T32MH14276, and the Yale Child Study Center Associates and the AACAP Pilot Award for General Psychiatry Residents.